Within days of initial contact, Claudia arrived from Boulder, Colorado with fresh, heirloom Red Fife flour. And when I say fresh, I mean just freshly milled within the last 24 hours. She was here to test her flour on our Arcobaleno AEX18 pasta extruder. The results are in, and not only did the flour flawlessly extrude, but the flavor shined through as extraordinary! She believes in REAL food. Sustainably grown, organic, nutritious, fair, artisanal. Her company, Pastificio, is centered around the idea of pasta starting from scratch. It is made fresh daily in Boulder, Colorado partnering with local farmers and artisans to blend the results of their craft with their passion for fresh pasta. 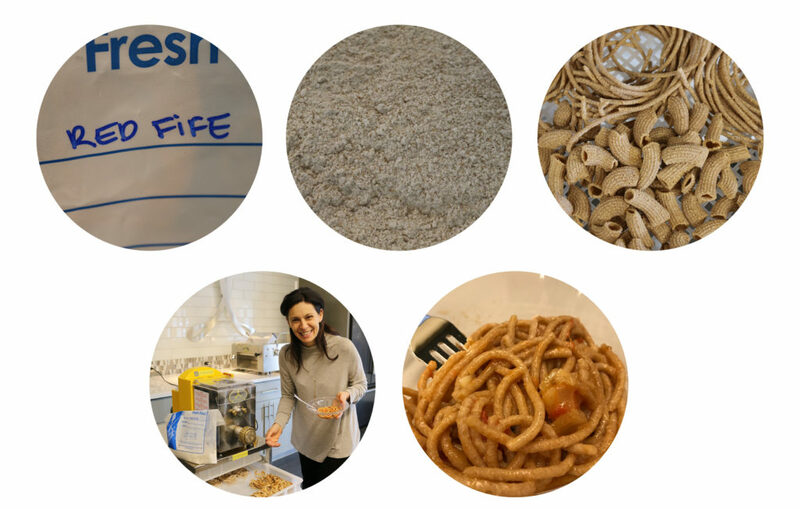 She use organic heirloom wheat such as emmer, red fife and einkorn, sourced as locally as possible freshly milling the wheat in house just minutes before mixing the dough as to keep the whole grain pastas at the peak of its nutrition. Claudia sees food as inspiration, to create memories and connect us with our friends and family at the table. After all, Pasta IS for sharing!